Husker Genetics (formerly known as the University of Nebraska–Lincoln Foundation Seed Division) is undergoing some new and exciting changes. 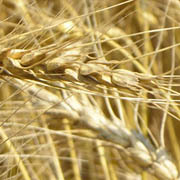 Quality seed and superior genetics - that’s what today’s crop producers are seeking. The University of Nebraska–Lincoln Foundation Seed Division has been in the business of producing quality seed for many years. 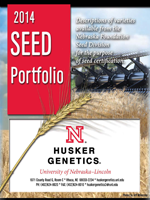 Learn about our varieties, download the 2014 Seed Portfolio.